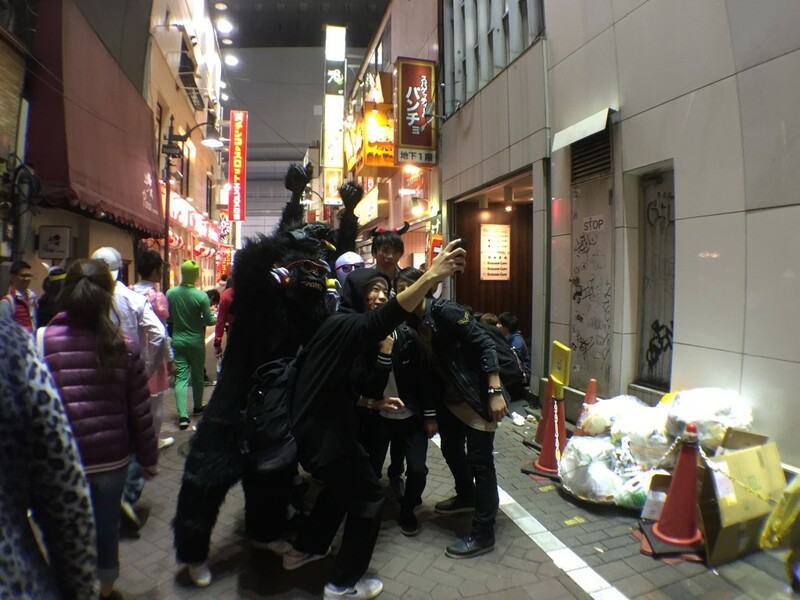 My partner and I have spent the past few Halloweens in Shibuya, so we thought we were prepared for Halloween 2015 in Tokyo. 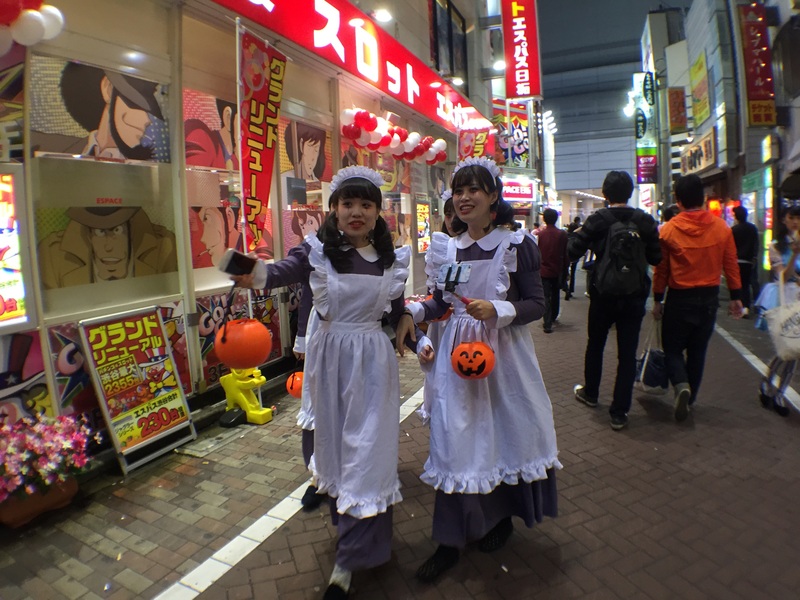 Each year we have enjoyed the Halloween festivities. The vibe is positive and everyone seems to be having fun. 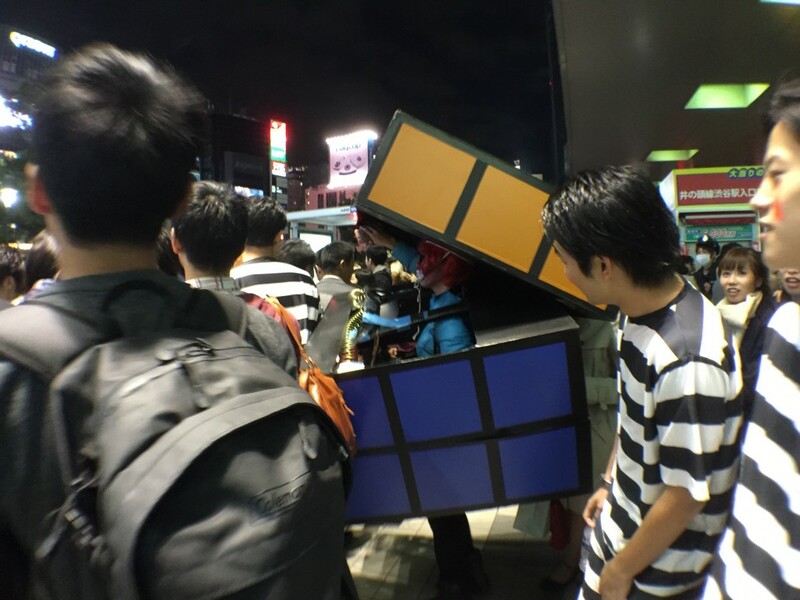 Many people dress up – some in cheap mass produced costumes, and others in impressive, creative home-made outfits – and Halloween is one of the few occasions people have been able to get away with stopping in Shibuya Crossing to take photos (under normal circumstances, this is not appropriate). 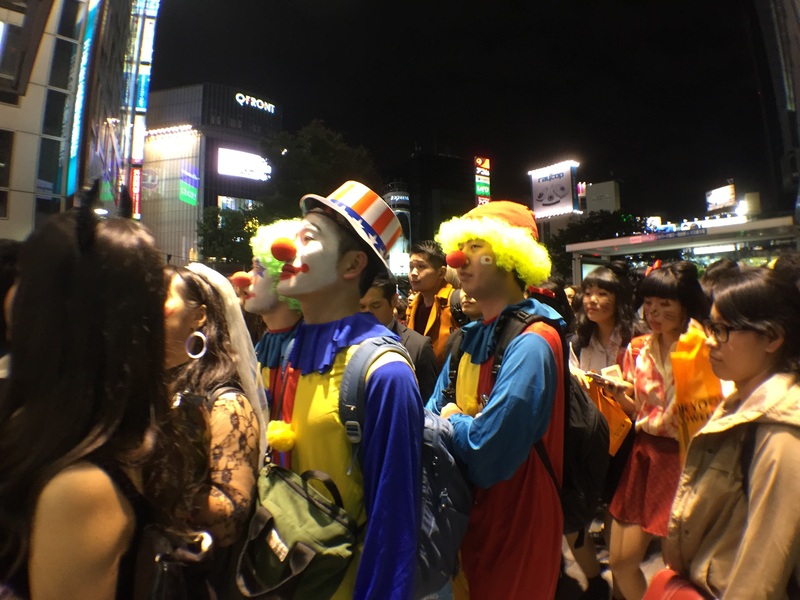 Having watched Halloween grow as a celebration in Tokyo over the past few years, we were expecting Halloween 2015 to be a little bigger than previous years, particularly considering that Halloween 2015 fell on a Saturday. As it turns out, nothing could have prepared us for how enormous the crowds would be. 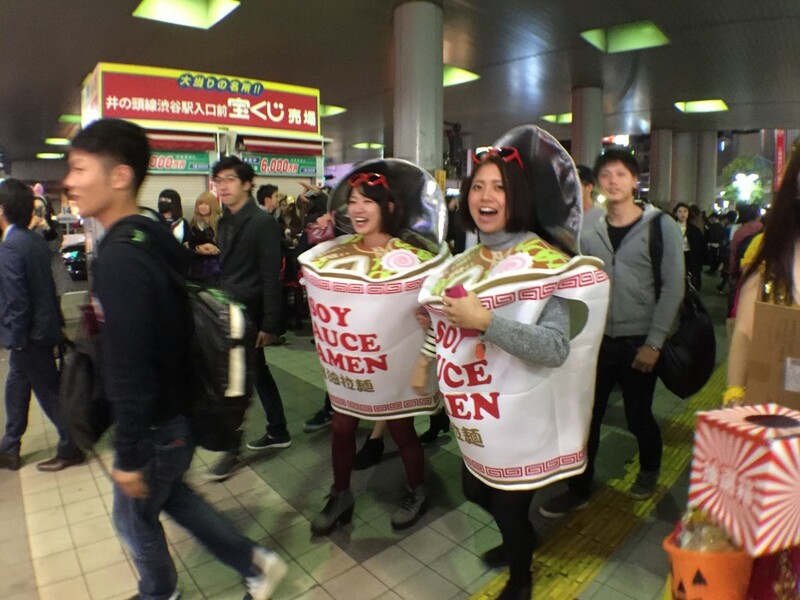 Travelling back from a few says at Tokyo Disney Resort (another great place to celebrate Halloween in Japan) during the afternoon, we began to realise how big Shibuya’s Halloween celebration was about to be, as we inched our way through the busiest 4:30pmnwe had ever experienced in Shibuya. In ten minutes, four busloads of police drove past – they they were clearly more prepared for the crowds than we were. 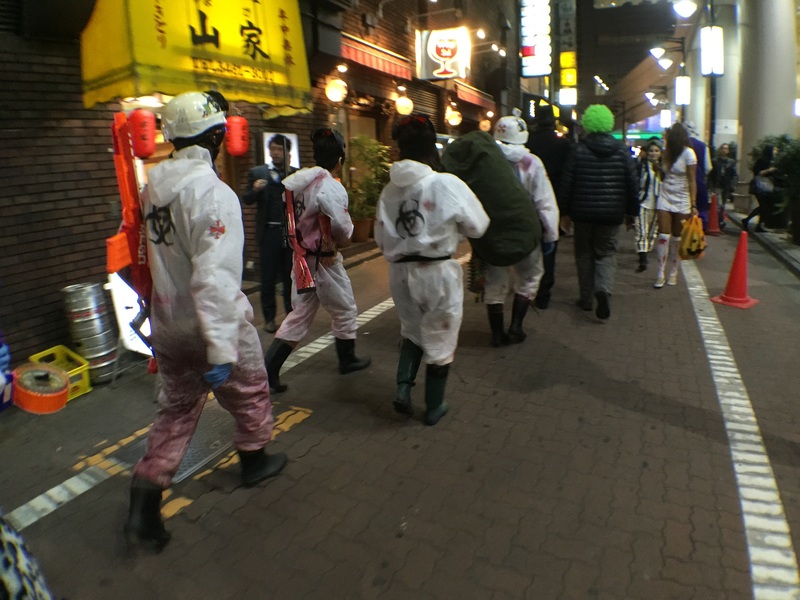 Trying to to get dinner in Shibuya was almost impossible. We had a few plans, but after plans a, b, c and d fell through (either because they were fully booked, the queues were too long, or it was almost impossible to fight through the crowds to get there), we settled for some dirty burgers closer to our hotel. Previous years have taught us that later in the evening is the best time to head out to enjoy the celebrations and get in amongst the crowds. 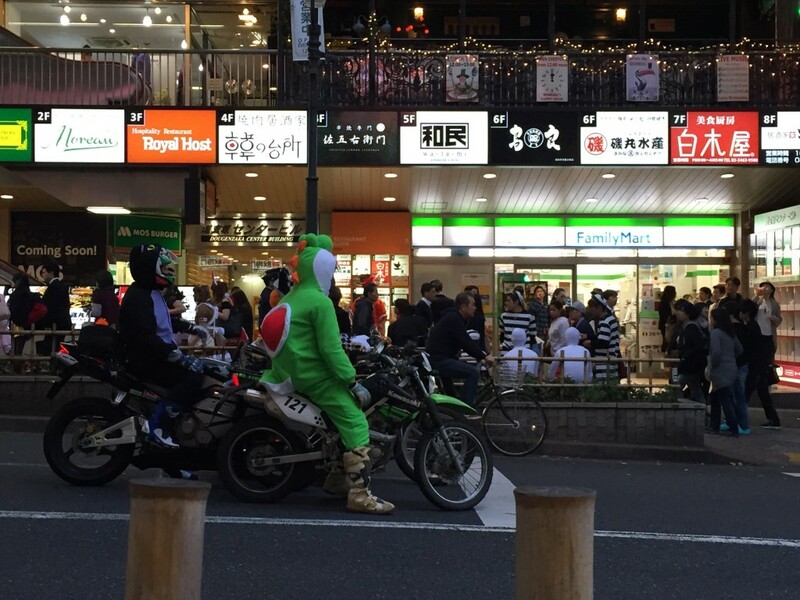 We put on our costumes (onesies that I made) and headed out at 9pm. 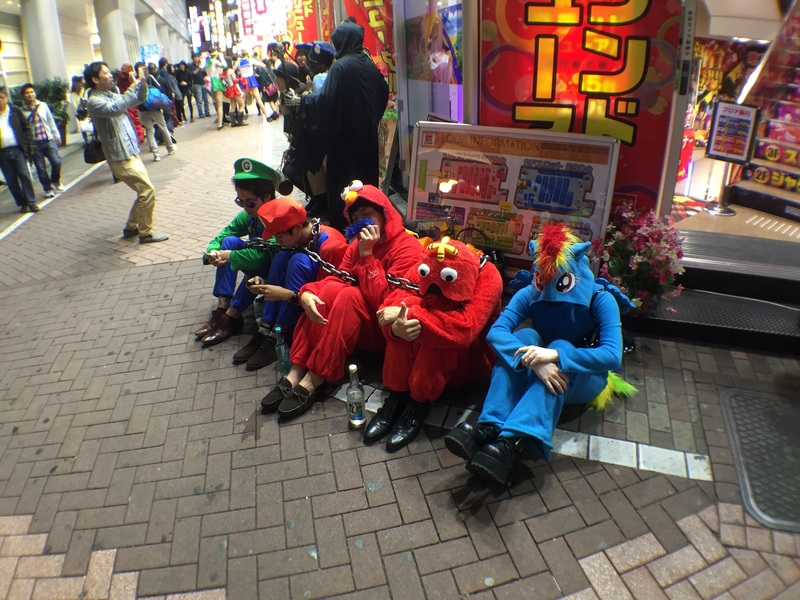 as it turned out, this year we couldn’t even get as far as Shibuya Crossing. Technically it would not have been 100% impossible, but it was close enough to impossible. The crowds were absolutely enormous. It was like NYE, but with everyone in costume. 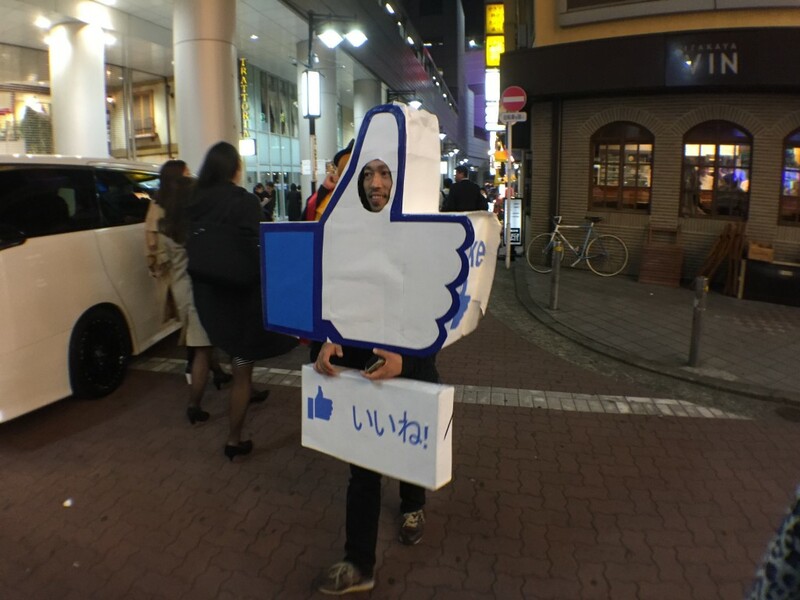 Just like the previous years, the vibe was very positive with everyone in good spirits and enjoying themselves, taking photos of each other and posing for photos with randoms in costume. 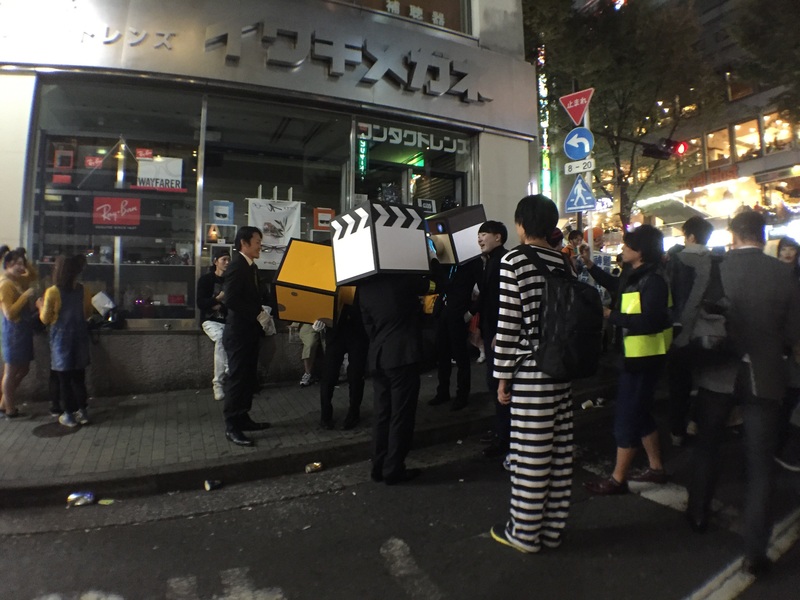 Unlike previous years, it was too crowded to move easily from one place to another. Up until this year, only a small police presence has been required around Shibuya Crossing (mostly to encourage people to get back onto the footpath before the cars start passing through). This year, the crossing was controlled by vast numbers of police who carefully choreographed the cycles of people and vehicles moving through the centre of Shibuya. 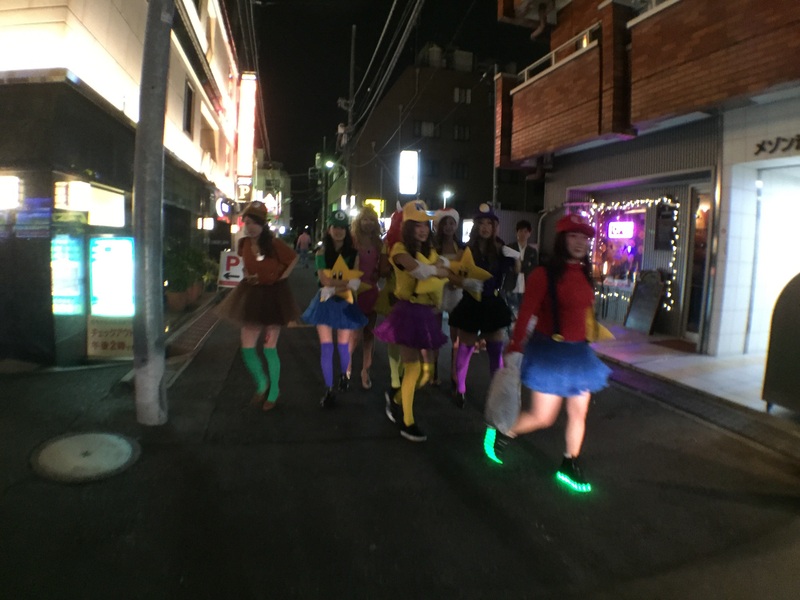 In amongst the generic costumes (plenty of girls in matching short dresses, guys dressed as Super Mario), there were some original – and often humorous – outfits too. I tried to take some photos of the costumes, but this year was a lot trickier due to the sheer number of people. It was hard to move, let alone photograph people, and it’s hard to capture just how crowded it really was. 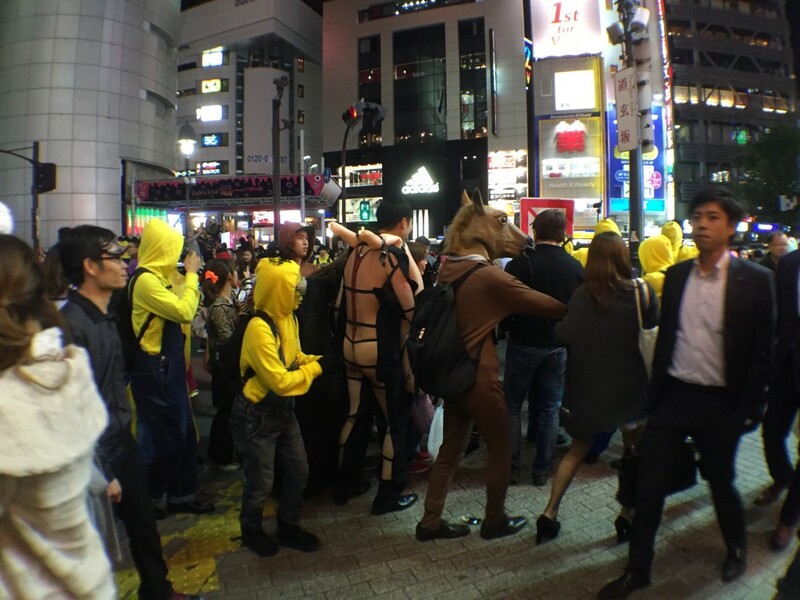 Halloween in Shibuya is one of those events that really needs to be seen (or directly experienced) to believe.